Silver Fillings – Are They Dangerous? Most Americans have at least one “silver” filling. But these so-called silver fillings are really amalgams of silver and other metals, including Mercury. The truth is, about 50% of that amalgam filling in your mouth is made up of elemental mercury! Only 25-35% of the filling is silver, with the balance comprised of a combination of tin, copper, and zinc. Dental Amalgams were first introduced in 1833. Though the material was easy to make and convenient to use, it was not immediately embraced for use by the American dental community. In fact, in the 1840’s, the American Society of Dental Surgeons called the use of mercury in fillings malpractice and required that its members sign a pledge promising to not use it. However, other dentists saw the advantages of amalgam in lowering the cost of dentistry and broadening their patient base. To learn more about the history of these fillings, visit this site: http://www.youputwhatinmymouth.com/research/dental-mercury-history. Why Is Mercury In A Filling Dangerous? One of the primary concerns is that any time mercury amalgam fillings are stimulated, Mercury gas is released and continues for up to an hour-an-a-half after the stimulation occurs. That means that when you eat or drink, mercury vapors are released into your system – and there is as much mercury in the average filling as in a thermometer – enough mercury in one large filling to contaminate a 10-square-mile lake and cause restricted fishing. And according to the International Academy of Oral Medicine and Toxicology, just having your teeth cleaned releases 1,000 amounts the EPA allows for the air we breathe. When these vapors are released into your mouth by chewing or other stimulation, the mercury is absorbed into your body fat, liver and spleen. It even crosses the blood brain barrier, depositing mercury in your brain. It all adds up to one thing – mercury fillings may be the leading cause of mercury toxicity in the United States. importance to some, we believe that these benefits come at too great a risk. Indeed, we believe that the long-term cost on a patient’s health far outweighs any immediate savings when repairing a cavity. Since the FDA classifies mercury as a poison – a volatile one – it shouldn’t be surprising that the dental use of mercury is a controversial topic. Some dentists and dental organizations maintain that the use of mercury in dental amalgam fillings is perfectly safe, while others, including several European countries, assert that Mercury is too unstable to be placed in anyone’s teeth. But mercury does not only affect human health. Great concern has been expressed over the environmental effects dental mercury can have. Because of this, the use of mercury-based dental amalgams has been banned in Sweden, Norway, and Denmark. All this isn’t new information. A 2003 monograph on toxicity from the World Health Organization concluded that “Studies on humans and animals have demonstrated that dental amalgam contributes significantly to mercury body burden in humans with amalgam fillings.” Yet, many dentists continue to employ mercury amalgam as their primary restoration material, and they do it with the blessing of the ADA! 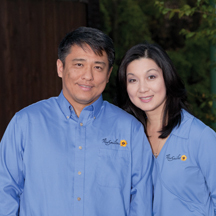 How Does All About Smiles Remove Amalgams Safely? One of the services for which patients travel from as far away as Pennsylvania and New York is for our mercury removal and heavy metal detox program. This program helps patients detoxify naturally by strengthening the immune system. Duration of the detox program varies, and depends on each patient’s sensitivity, mercury level, and symptoms. We also follow the International Academy of Oral Medicine and Toxicology’s protocols for safe filling removal. http://iaomt.org/mercury/. 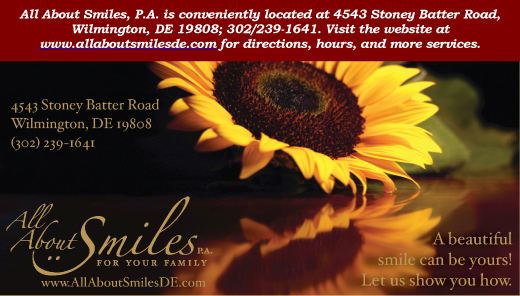 Then please feel free to call us at 302-239-1641, or visit our website, allaboutsmilesde.com.